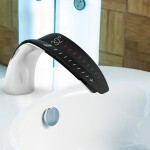 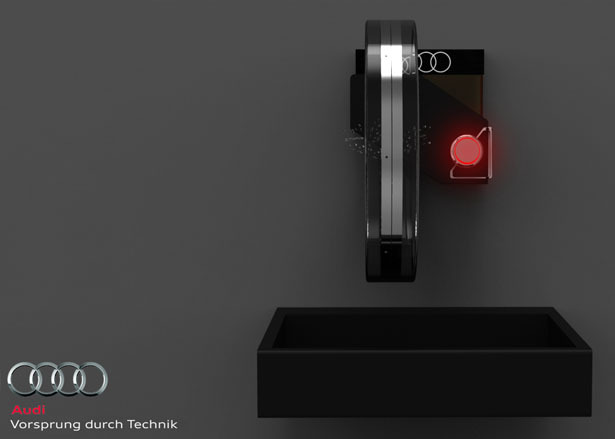 The Hudōr Faucet incorporates a system that allows the user a “hands-free washing experience” so to speak, by integrating a motion detector, an easily replaceable liquid soap dispenser and a bacteria disinfectant black light. 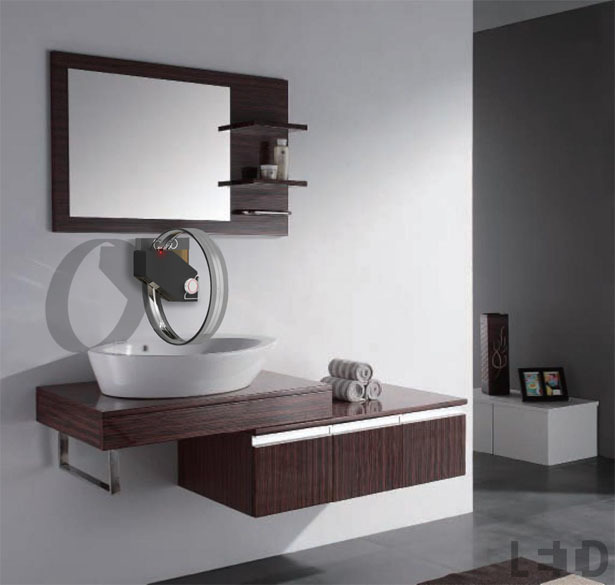 When we think about washing hands, we immediately envisage a faucet and basin. 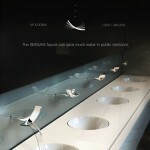 Fraser Leid attempted to create a piece that changes the perception of hand sanitation entirely. 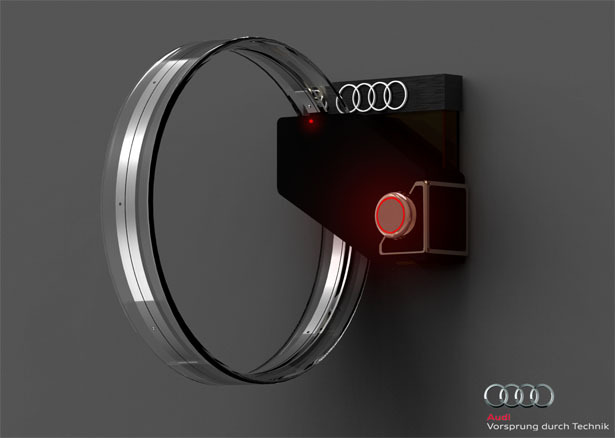 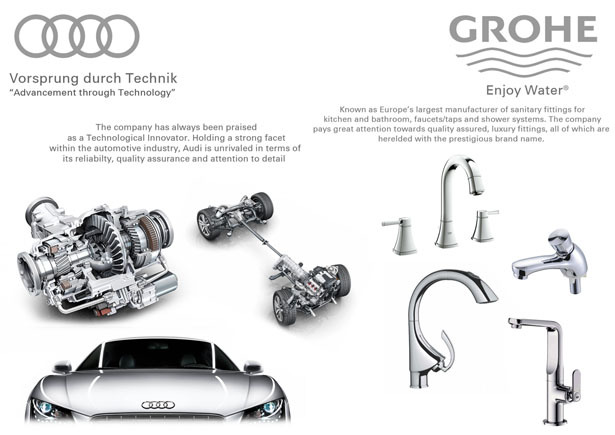 The faucet’s unusual design focuses on simplicity, while blending queues from Audi’s automotive ethos of harmonious quality assurance and technology integration. 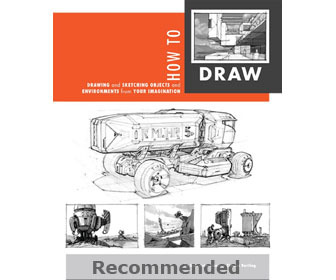 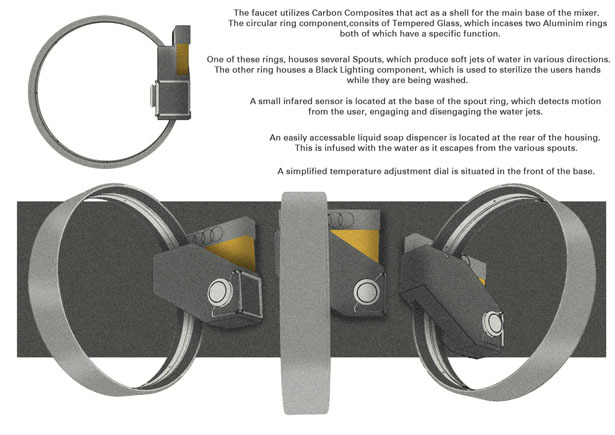 The object utilizes carbon composites that act as a shell for the main base of the mixer. 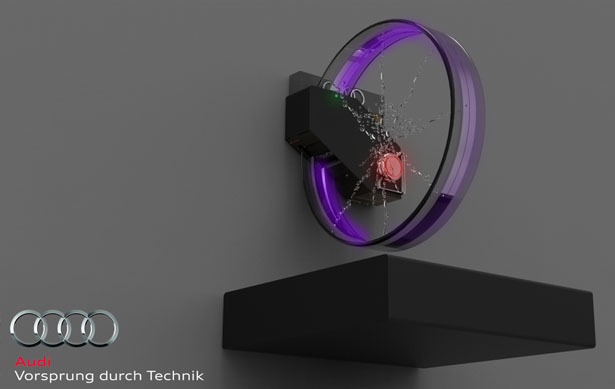 The circular ring component consists of tempered glass, which incases two aluminum rings. 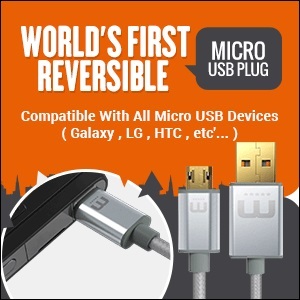 Both of which have a specific function. 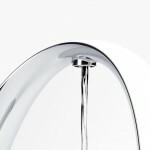 One of these rings, houses several spouts, which produce soft jets of water in various directions. 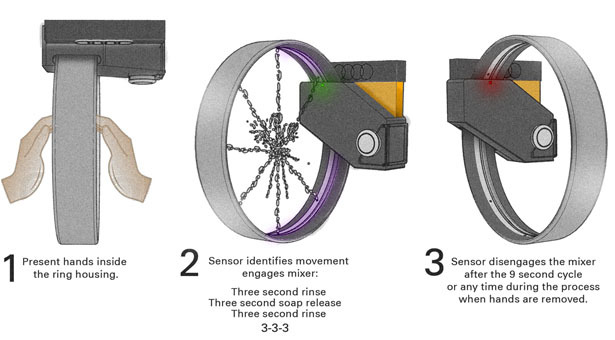 The other ring houses a black light, which is used to sterilize/ sanitize the users hands of bacteria while they’re being washed. 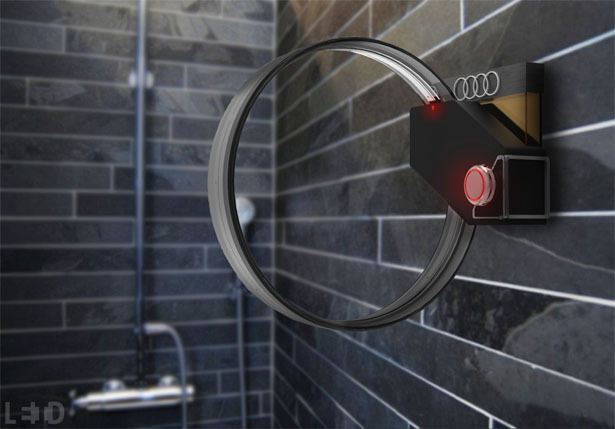 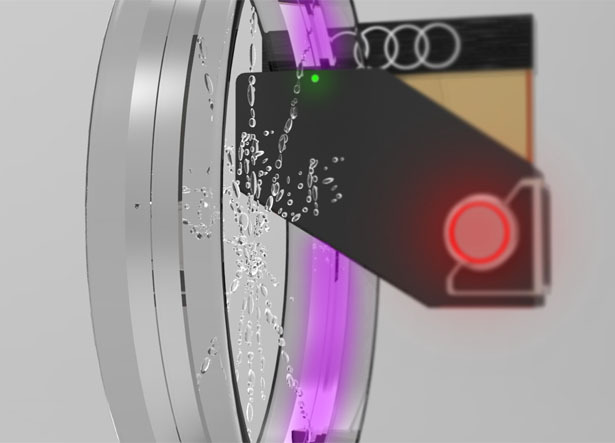 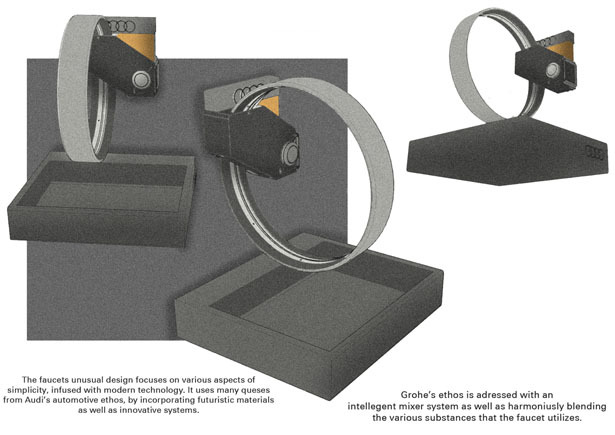 A small infrared motion sensor is located at the base of the spout ring, which detects motion from the user, engaging and disengaging the water jets. 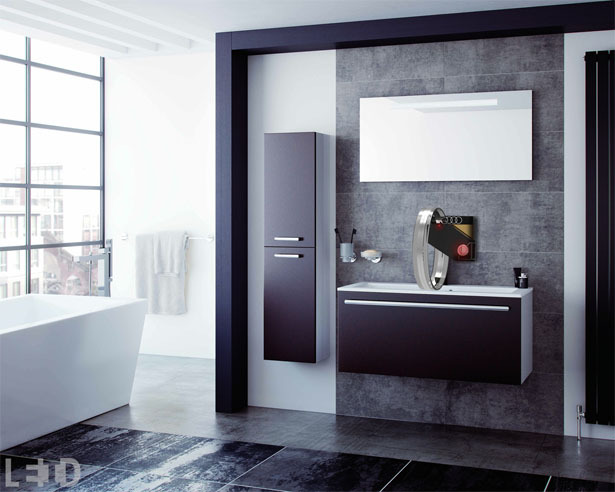 An easily accessible liquid soap dispenser is located at the rest of the housing. 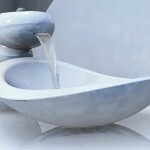 This is infused with the water as it escapes from the various spouts. 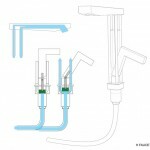 A simplified temperature adjustment rail is situated in the front of the base. 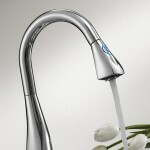 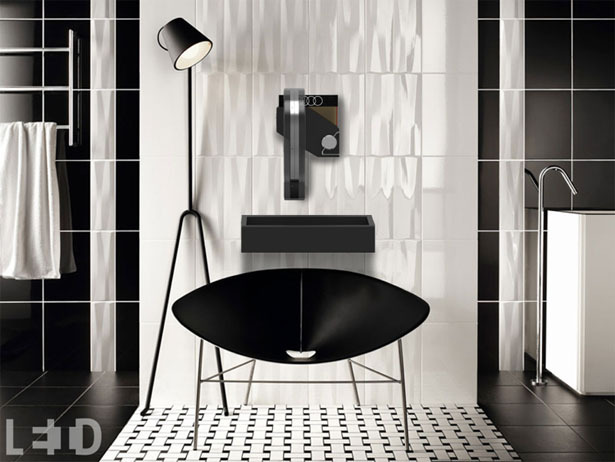 In summary, Hudōr faucet is a very interesting take on a faucet design. 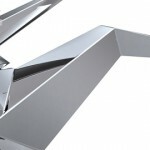 It managers to go against the norm with a very futuristic design approach, but still is grounded as a believable, marketable product. 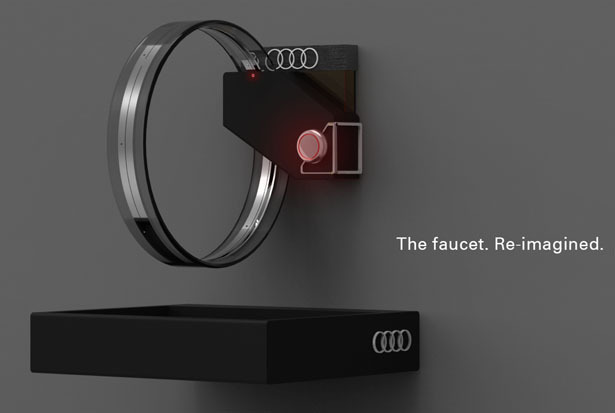 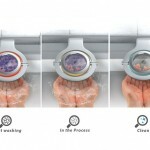 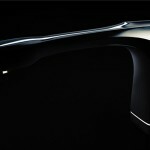 Tagged as audi inspired bathroom faucet, futuristic faucet design, grohe faucet inspired by audi, ring shaped faucet.